The defence budget was increased by 7.81 per cent to Rs 2.95 lakh crore against last years Rs 2.74 lakh crore, belying expectations of a significant hike when the armed forces are facing growing challenge on the borders with both Pakistan and China. In his budget address today, Finance Minister Arun Jaitley said the government will develop two defence industrial production corridors and bring out an industry-friendly military production policy to promote the domestic defence industry. 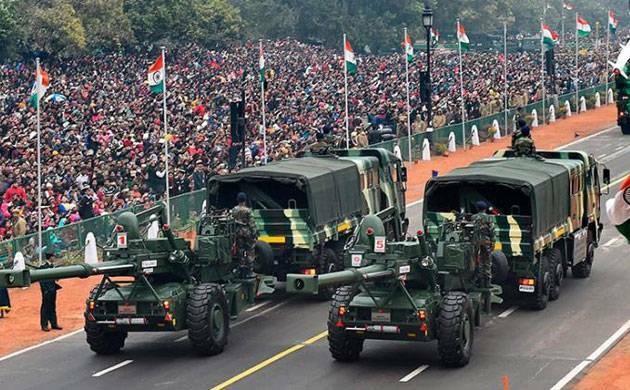 Out of total allocation of Rs 2,95,511 crore for defence budget, Rs 99,947 crore has been set aside for capital outlay to purchase of new weapons, aircraft, warships and other military hardware. The revenue expenditure which includes expenses on payment of salaries and maintenance of establishments has been pegged at Rs 1,95,947 crore. The allocation has been estimated at around 1.58 per cent of the GDP while the overall defence budget is 12.10 per cent of the total budget of Rs 24,42,213 crore for 2018-19. The capital allocation for the armed forces is 33.1 per cent of the total expenditure by the government on capital account, which is Rs 3,00,441 crore, the defence ministry said. Military experts said the allocation for defence budget was inadequate to modernise Indias armed forces when they are having to deal with an increasingly assertive China on the northern frontier and Pakistans continued hostilities along the western border. They said the outlay for the armed forces in terms of percentage of GDP is lowest since 1962, the year when the Sino-India war had taken place. "The allocation is not at all adequate for modernisation of our armed forces. The expectation was much more," said Dr Laxman Behera of Institute of Defence Studies and Analysis. Another expert Brig (retd) S K Chatterjee said the allocation was not in consonance with India's security challenges along the western and northern borders and that the actual hike is marginal considering the inflationary pressure and increase in cost of military hardware compared to last year. "The allocation of 1.58 per cent of the GDP for defence budget is lowest since 1962 when India and China had fought a war," said Chatterjee. He said Chinas defence allocations have been around 1.9 per cent of its GDP while in case of Pakistan, it has been around 3-3.5 per cent. In his budget address, Jaitley also proposed to construct a tunnel under Sela pass which will cut down travel time to Tawang, a strategically-located town in Arunachal Pradesh bordering China. He said government was developing connectivity infrastructure in border areas to secure India's defences. "Rohtang tunnel has been completed to provide all weather connectivity to the Ladakh region. Contract for construction of Zozila Pass tunnel of more than 14 kilometres is progressing well. I now propose to take up construction of tunnel under Sela Pass," he said. The defence ministry said approval for the construction of Sela pass has given further impetus to the defence preparedness. Defence Minister Nirmala Sitharaman welcomed announcements by Jaitley to set up of two industrial corridors and bringing out the defence production policy, calling them "path breaking". "These are the first ever defence production corridors being formed in the country. These defence industry corridors will give a big boost to defence production in the country," she said. In his address, Jaitley, while talking about the corridors, did not specify contours of the project. Last year, the hike in defence budget was 6.2 per cent compared to allocation in 2016-17. The increase was 9.76 per cent for 2016-17 compared to 2015-16. A separate amount of Rs 1,08,853 crore has been set aside over the above the total allocation for the paying pension to defence personnel. The amount for defence pension is an increase of 26.60 per cent over the allocation of Rs 85,740 crore last year. In his budget speech, Jaitley also appreciated the role played by the armed forces in meeting challenges on the country's borders as well as in managing the internal security environment, both in Jammu and Kashmir and the Northeast. Jaitley said a lot of emphasis had been laid on modernising and enhancing the operational capability of the defence forces in the last three-and-a-half years. "The government will take measures to develop two defence industrial production corridors in the country," he said. Jaitley said the government would also bring out an industry-friendly "defence production policy 2018" to promote domestic production by the public sector, private sector and MSMEs. He said a number of initiatives had been taken to develop and nurture Indias intrinsic defence production capability to make the nation self-reliant on its defence needs. Aerospace major Airbus welcomed announcements on industrial corridors and a new industry-friendly defence production policy. "We hope such steps will foster a sustainable eco-system that promotes investment and helps expedite the modernisation of the armed forces in a constantly evolving strategic environment," said Pierre de Bausset, President and Managing Director, Airbus India.